Environmental Research, Engineering and Management (EREM) is an international multidisciplinary journal designed to serve as a roadmap for understanding complex issues and debates of sustainable development. EREM publishes peer-reviewed scientific papers which cover research in the fields of environmental science, engineering (pollution prevention, resource efficiency), management, energy (renewables), agricultural and biological sciences, and social sciences. EREM is included in SCOPUS database since 2016. It is intended to publisch scientific papers dealing with the following problems: technology of inorganic materials, technology of organic materials, food chemistry and technology. ELEKTRONIKA IR ELEKTROTECHNIKA is a peer-reviewed bimonthly research journal of Kaunas University of Technology. The research journal ELEKTRONIKA IR ELEKTROTECHNIKA publishes previously unpublished high scientific level articles imposed not only for specialists but also to the wider public. Major fields of interest include electronics and communications, electric energy, instrumentation and control, and automation. The scope of the articles in the journal covers a wide field of scientific problems related to economic trends and issues, industrial and business economics; the development, marketing, and financing of new engineering technologies, products and services; product and services markets and demand influences; analytical and simulation models, empirical research, managerial decisions, and so on. Material of the manuscripts submitted for publication to the journal must be of a high scientific level and previously unpublished. 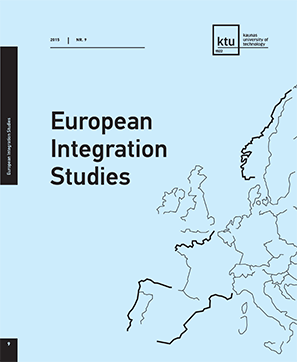 Journal European Integration Studies is dealing with interdisciplinary field of European Union law, economics, policies and history research with the aim to form the common ground for discussion, exchange of ideas and to foster the integrated research concerned with problems and actualities of European integration processes. We intend to encourage scientists to publish their applied and theoretical research on the Aspects of Social Evolution of Europe, Economics of European Union, Managerial Aspects of European Integration, European Union Policies, European Union Law and will pay a special attention to the joint research in these areas. the manuscript is your own original work, and does not duplicate any other previously published work, including your own previously published work. the manuscript is not currently under consideration or peer review or accepted for publication or in press or published elsewhere. the manuscript contains nothing that is abusive, defamatory, libellous, obscene, fraudulent, or illegal. Please note that European Integration Studies uses CrossCheck™ software to screen manuscripts for unoriginal material. By submitting your manuscript to European Integration Studies you are agreeing to any necessary originality checks your manuscript may have to undergo during the peer-review and production processes. All manuscripts go through at least two double blind reviews. The reviewers are selected with reference to the topic of the contribution and their own experience. Authors of accepted scientific publications will have to correct submitted manuscripts according to the reviewers’ remarks or should send motivated explanation why the remarks were ignored. Publication Frequency 1 issue per year (October). License allows for redistribution, commercial and non-commercial, as long as it is passed along unchanged and in whole, with credit to you. 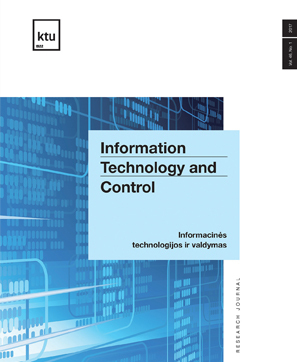 Periodical journal covers a wide field of computer science and control systems related problems. All articles should be prepared considering the requirements of the journal. Please use „Article Template“ to prepare your paper properly. It covers the fields of materials science concerning with the traditional engineering materials as well as advanced materials and technologies aiming at the implementation and industry applications. The variety of materials under consideration, contributes to the cooperation of scientists working in applied physics, chemistry, materials science and different fields of engineering. Material of the manuscripts submitted for publication to the journal must be original and previously unpublished. During the period of 1995-2016 in the journal it was published: about more than 1506 scientific papers. Therein 553 papers of foreign scientists and countries (Algeria, Great Britain, Bosnia and Herzegovina, Czech Republic, Republic of Belarus, China, Estonia, Germany, India, France, Finland, Japan, Latvia, Malaysia, Nigeria, Pakistan, Poland, Portugal, Russia, Switzerland, Turkey, Thailand, Ukraine, USA and etc.). 8. British Library Bibliographic Database. 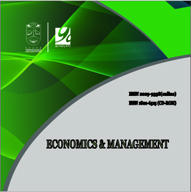 This journal publishes the articles analyzing public policy and administration theoretical and practical problems. The focus of the journal is the Social Sciences and their fields (Management and Administration, Educational Science, Sociology, Economics). The concept of the journal emphasizes integration of the Social Sciences and cooperation among researchers (interdisciplinarity and multidisciplinarity). SocINDEX with Full Text (EBSCO). 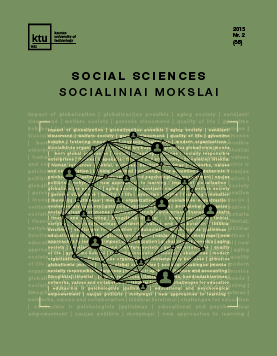 The scientific journal KALBŲ STUDIJOS/ STUDIES ABOUT LANGUAGES is a publication for all involved in the field of theoretical and empirical language studies. It is dealing with the problems of Applied Linguistics, Computational Linguistics, Sociolinguistics, and Studies of Foreign Languages. The journal aims at bringing together the scientists interested in linguistic theory development, empirical research of different aspects of languages functioning within a society, issues of language learning and teaching. The journal aims at becoming a multidisciplinary venue of sharing ideas and experience among the scholars working in the field. The articles are published in five languages (as submitted by the authors): English, German, French, Russian and Lithuanian. The Journal is devoted to the problems of acoustics, ultrasonics and non-destructive testing. The Journal publishes papers in the following fields: ultrasonic imaging and non-destructive testing, ultrasonic transducers, ultrasonic measurements, physical acoustics, medical and biological ultrasound, room acoustics, noise and vibrations, signal processing. Journal of Sustainable Architecture and Civil Engineering is an open access scientific journal dealing with interdisciplinary field of civil engineering, architecture and sustainability research with the aim to form the common ground for discussion, exchange of ideas and to foster the integrated research of civil engineering and architecture targeted to promote sustainability in this area. Publication in the Journal of Sustainable Architecture and Civil Engineering is free of charge: journal has no submission or article processing charges. Journal of Sustainable Architecture and Civil Engineering is included into IndexCopernicus Inernational (www.indexcopernicus.com): http://journals.indexcopernicus.com/passport.php?id=8850 and Ulrich's Periodicals Directory/ulrichsweb (http://ulrichsweb.serialssolutions.com/login) databases.